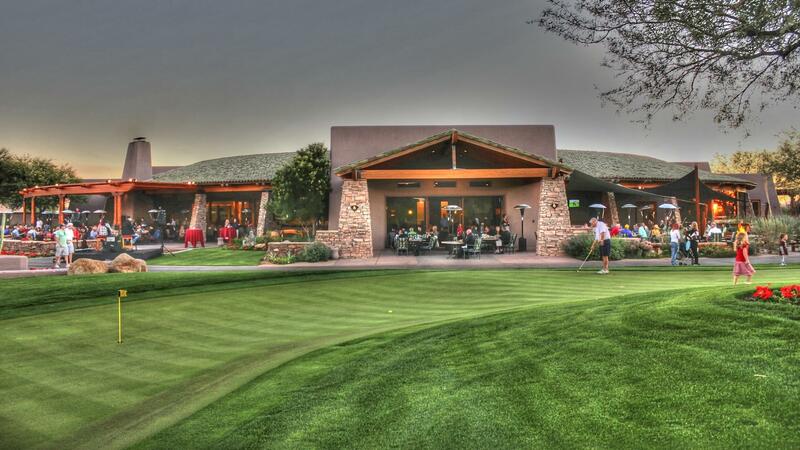 Rent Grayhawk Golf Club | Corporate Events | Wedding Locations, Event Spaces and Party Venues. Since opening to the public in 1994, Grayhawk Golf Club has proudly hosted golf enthusiasts worldwide – amateurs to professionals. It is also an ideal destination for your private events and wedding ceremonies and receptions. At Grayhawk, great golf is just the beginning. The clubhouse, with its many settings ranging from the grand event hall to the quaint board room, was built to entertain family, friends and co-workers during any number of special events. Add these spectacular facilities to Grayhawk’s professional event staff, and the stage is set for occasions such as weddings, corporate meetings, banquets, receptions, rehearsal dinners, birthday parties, anniversary parties, and much more. Grayhawk offers a unique and elegant ambiance that’s perfect for spectacular weddings and receptions in Scottsdale, Arizona. And since planning the biggest day of your life isn’t always easy, it’s a must to have a host of skilled professionals to handle the details. Grayhawk’s commitment to exceptional service and unsurpassed hospitality perfectly complements the breathtaking views and exquisite wedding locations found throughout the property. With all the elements in place for a beautiful Scottsdale Wedding at Grayhawk, all you need to do is simply add the bride and groom!